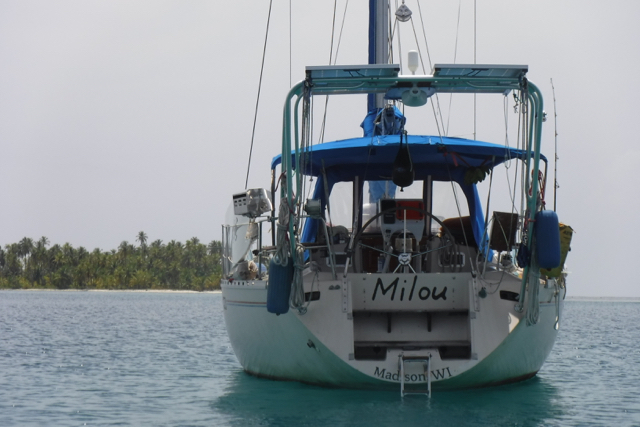 Milou is currently under contract. 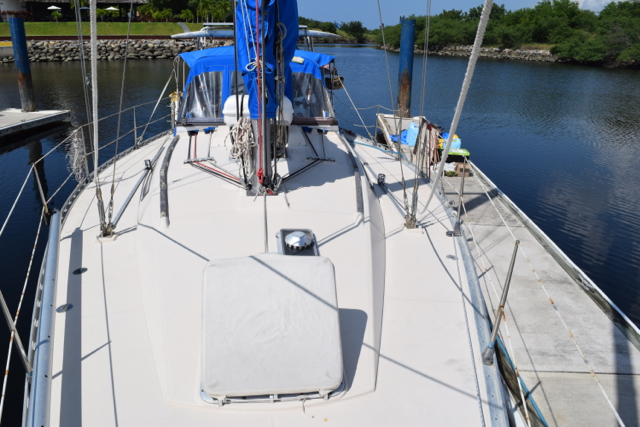 We expect her to officially be in new hands by August 15. 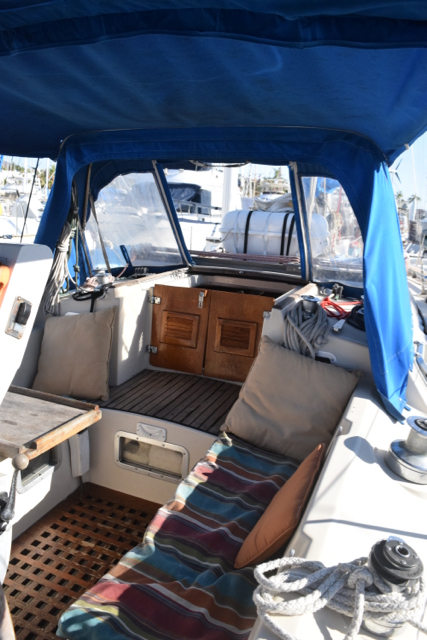 The Beneteau First 38 was designed as a solid ocean racing boat, back in the era of overbuilt fiberglass. 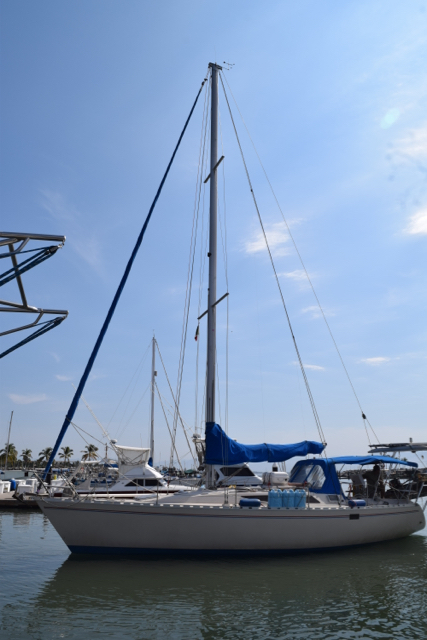 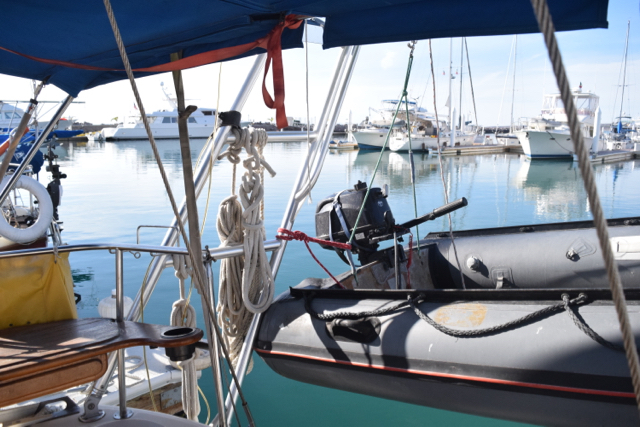 With her oversize rigging and solid hull, she is a strong, reliable boat. 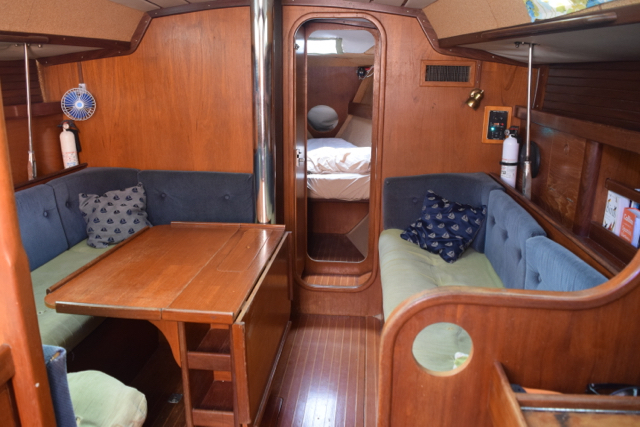 S/V Milou was built in France and brought by freighter to the US, where she was then sent overland to a freshwater lake in Texas. 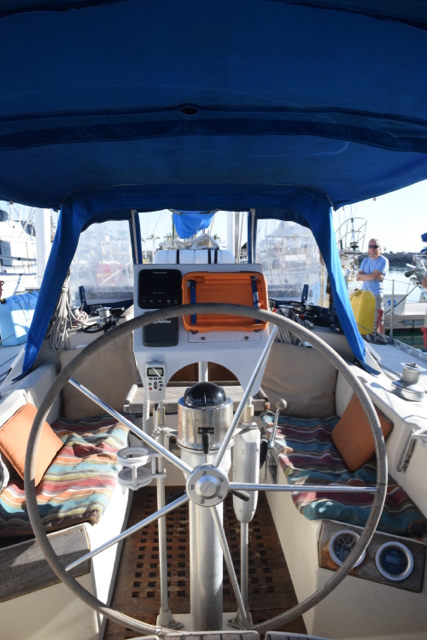 From there, she traveled overland again to Lake Michigan, and did not see salt water until August of 2016. 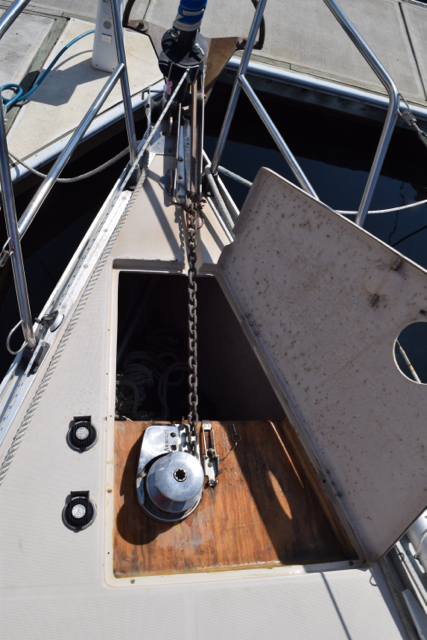 Our boat has a v-berth forward, with opening hatch; aft of the v to port is the head. 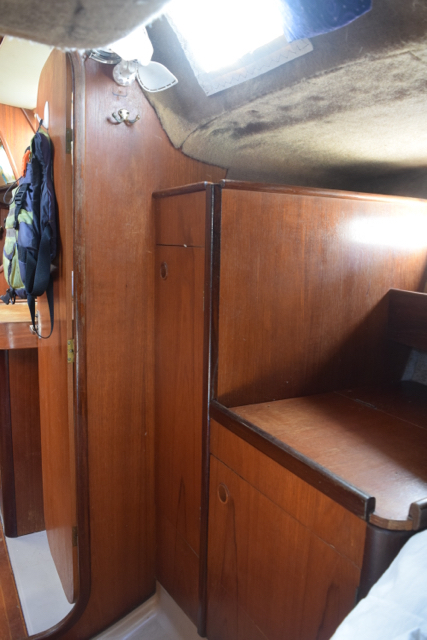 Continuing aft is our spacious saloon with seating for eight and good storage. 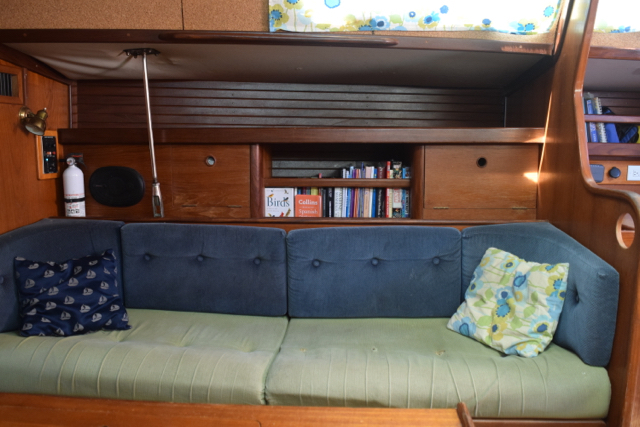 Settees are long and wide enough to make comfortable sea berths. 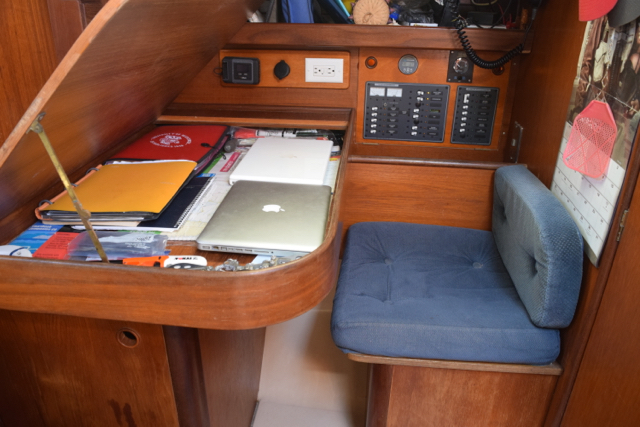 The J-shaped galley is to port, and nav station to starboard, with a chart table able to accommodate full-sized charts. 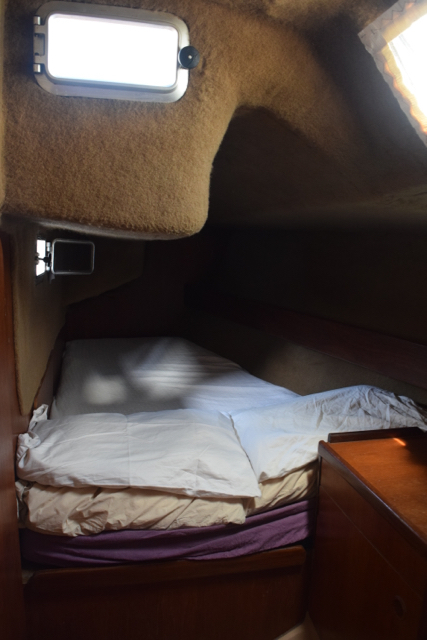 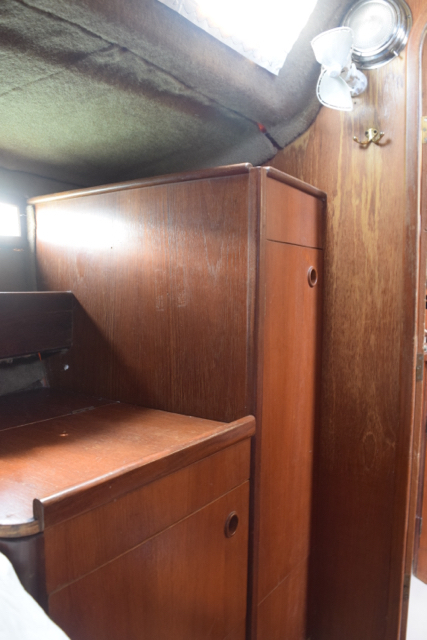 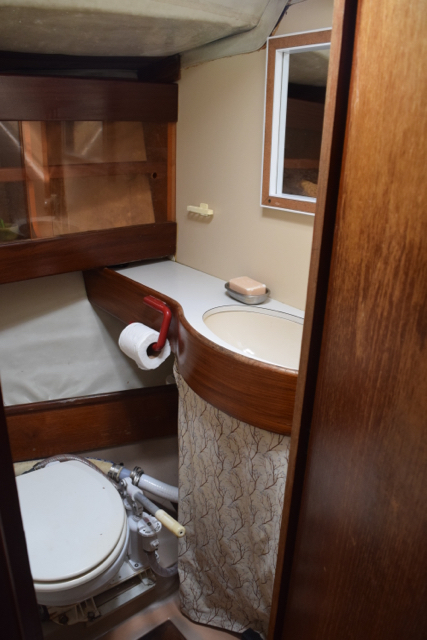 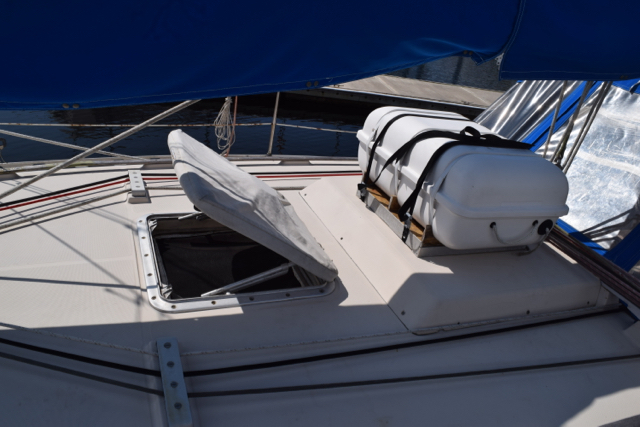 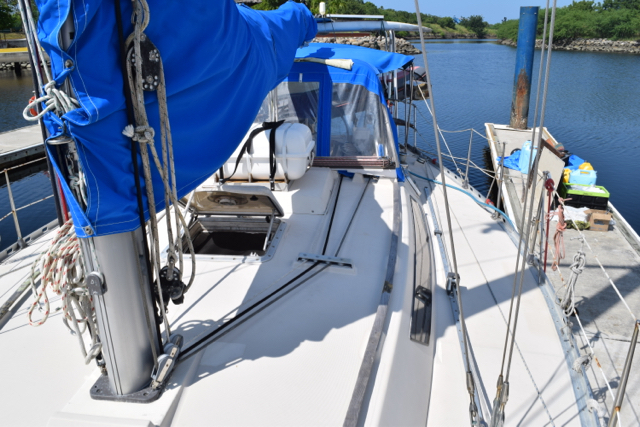 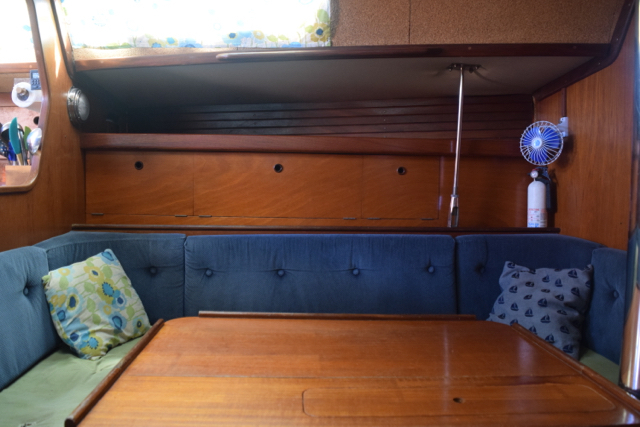 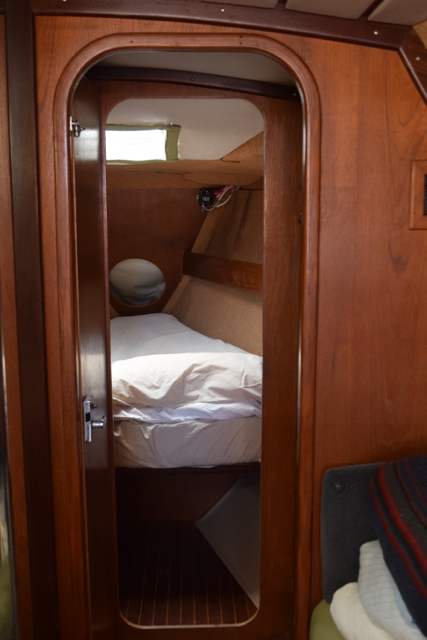 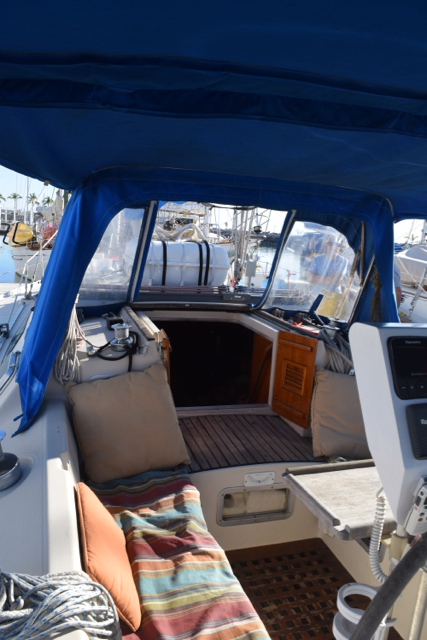 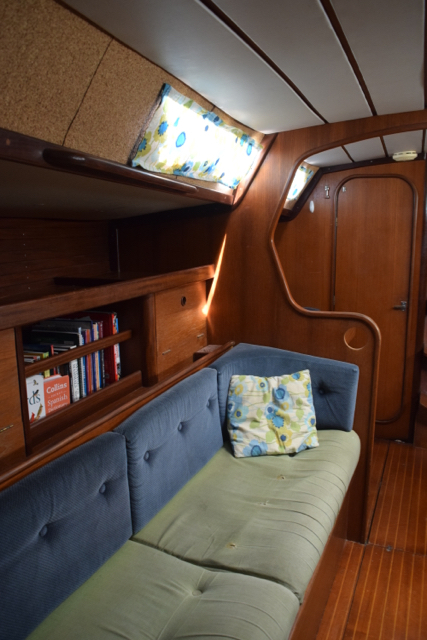 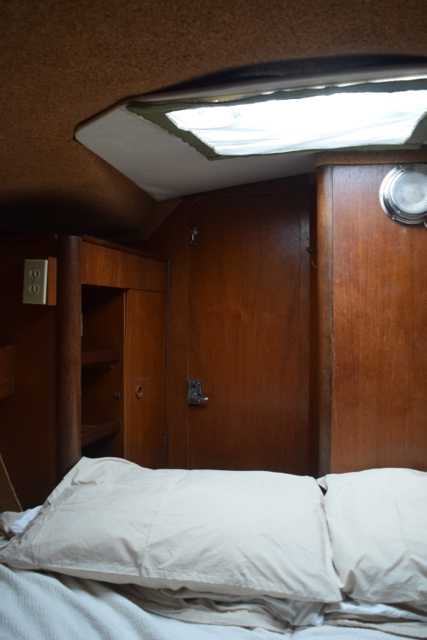 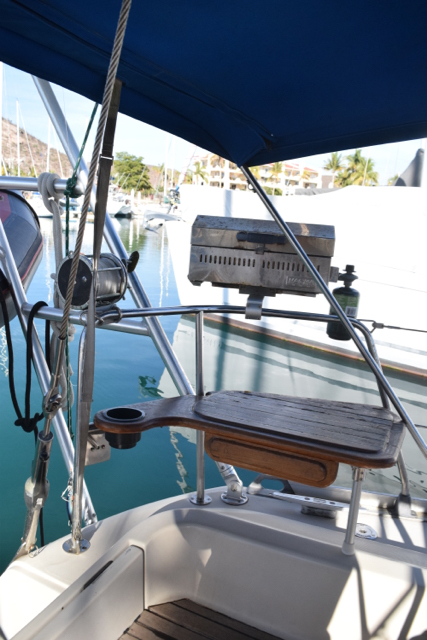 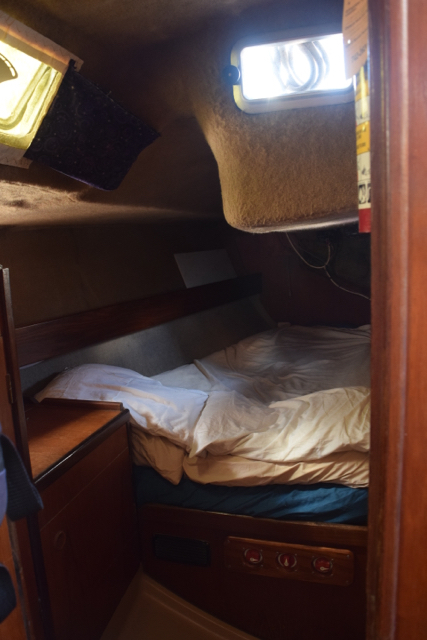 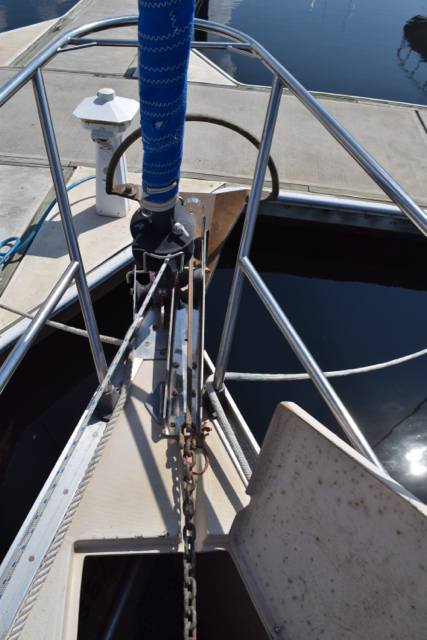 On either side of the companionway you’ll find a double berth, with hanging locker and cabinets. 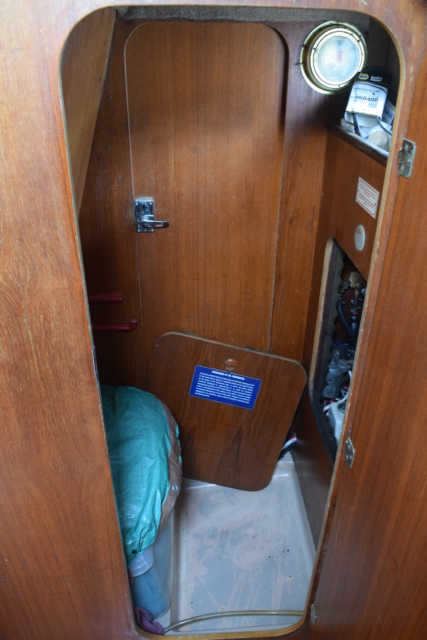 Between the aft berths is a storage locker, formerly a small head. 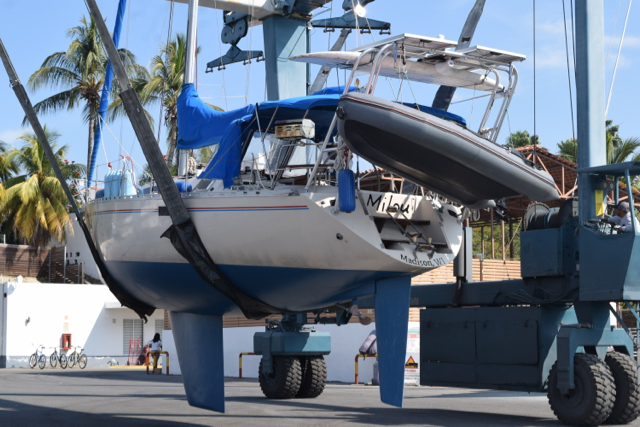 The hull was stripped in 2015, with a new epoxy barrier coat applied. 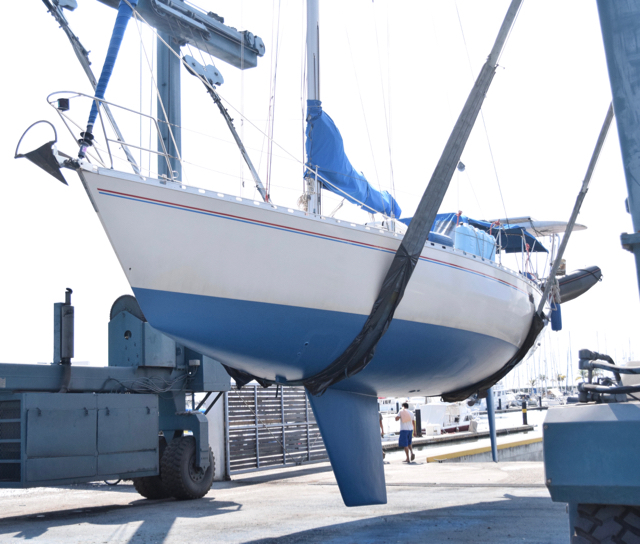 We have never seen a blistering problem with our hull. 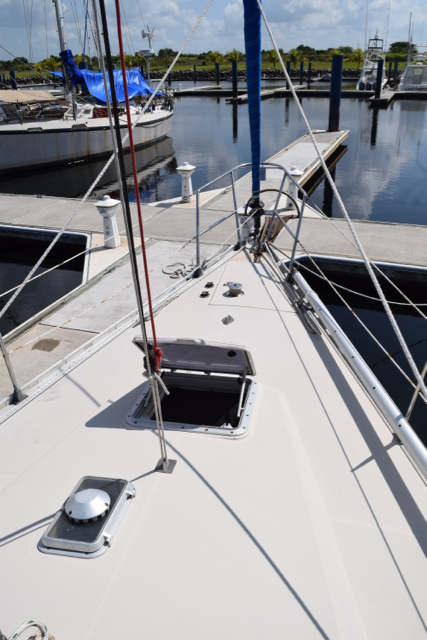 Two new coats of bottom paint were applied February 2018. 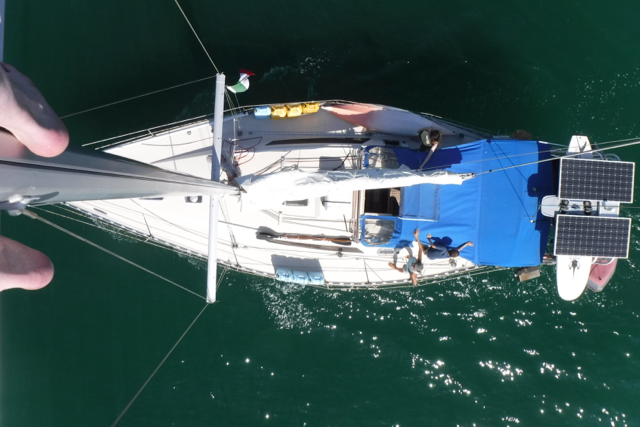 For more general info on the Beneteau First 38, please see Charles Doane’s recent article here. 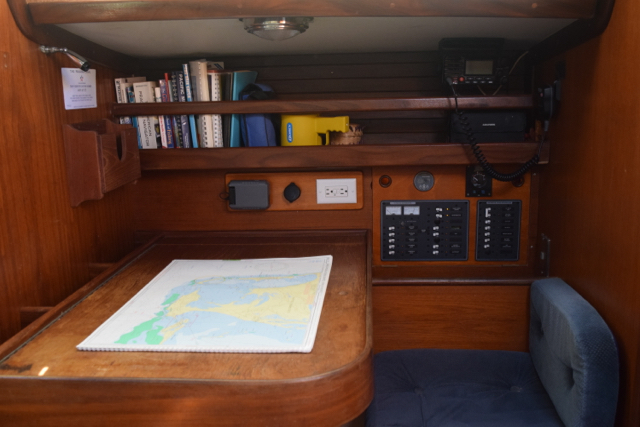 For line drawings, see our page S/V Milou. 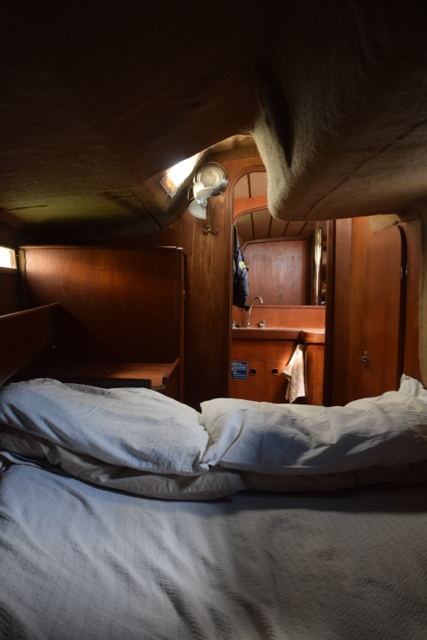 For armchair reading about our sistership, Bagheera, and her circumnavigation with three kids aboard, pick up one of Liza Copeland’s books, especially Just Cruising. 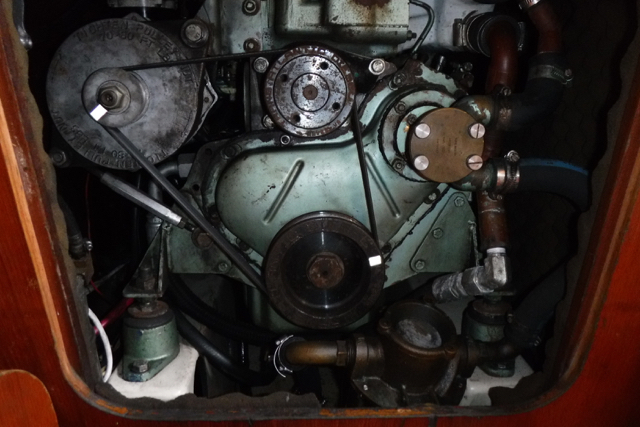 Frigoboat keel-cooled refrigeration. 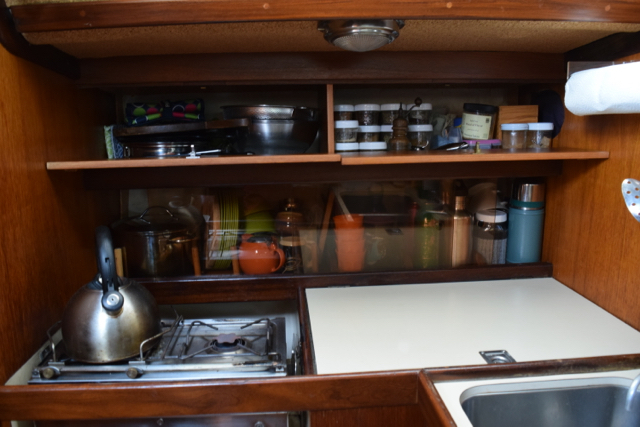 Our well-insulated, large, top-loading fridge draws very little power, runs quietly, and works very well. 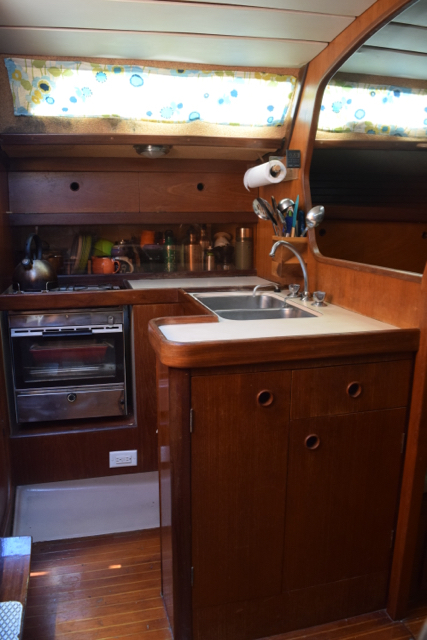 Includes small freezer. 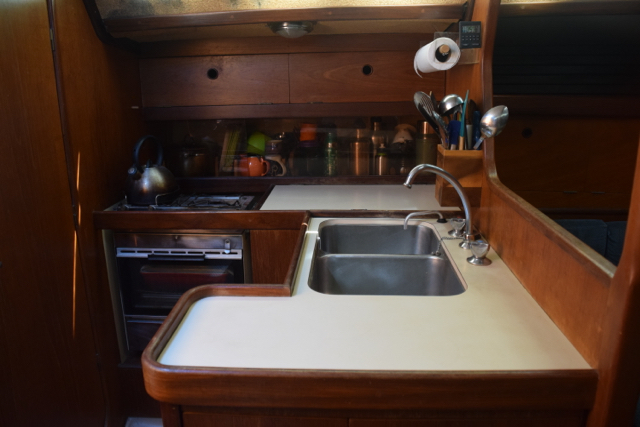 Origo alcohol stove (non-pressurized, very safe), two-burners with oven. 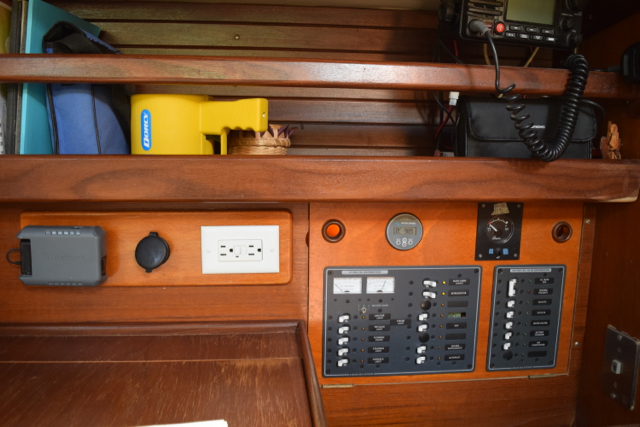 Lithium Ion Battery system 400 amp hour Winston LiFePo, new 2015 and used continuously for two years of cruising. 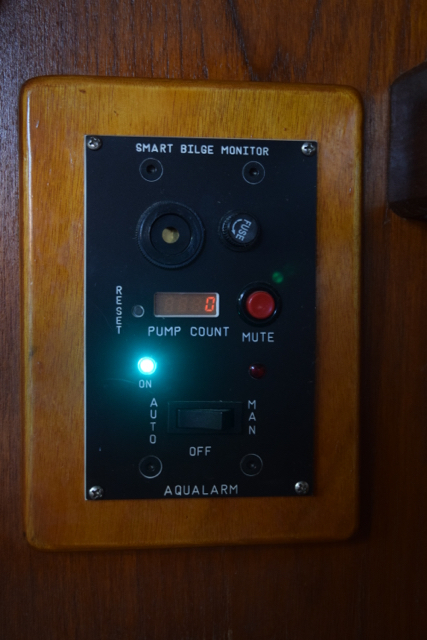 This system has been well-tested, and is incredibly reliable. 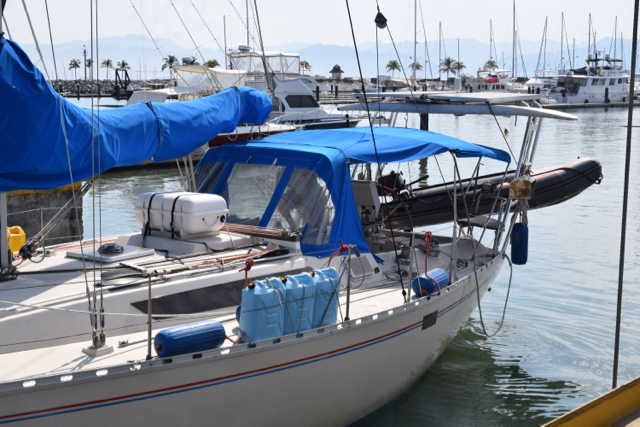 Our state of charge has only dipped below 60% one time in two years, despite our ability to safely deplete our batteries to 20%. 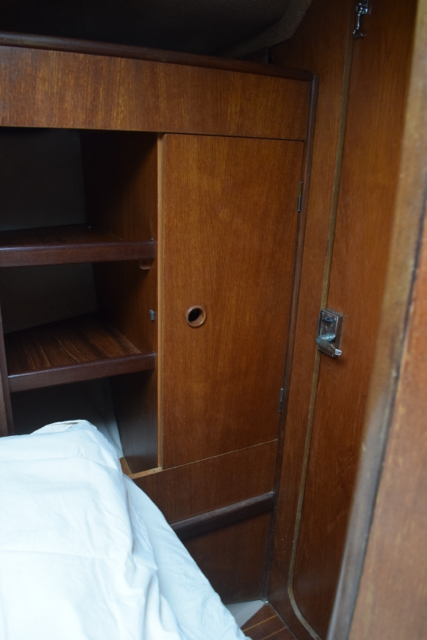 Screens for overhead opening hatches. 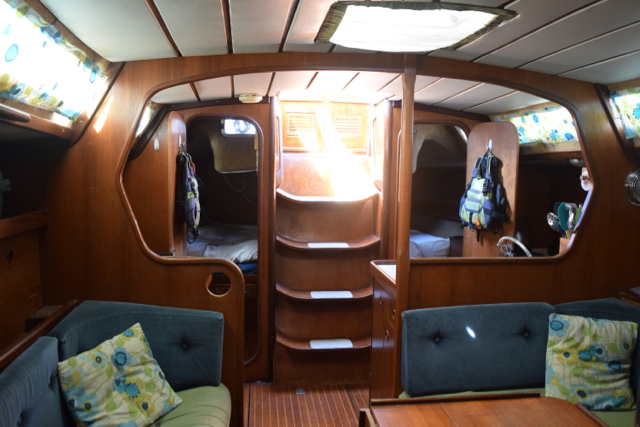 Aft berths include three opening portholes each. 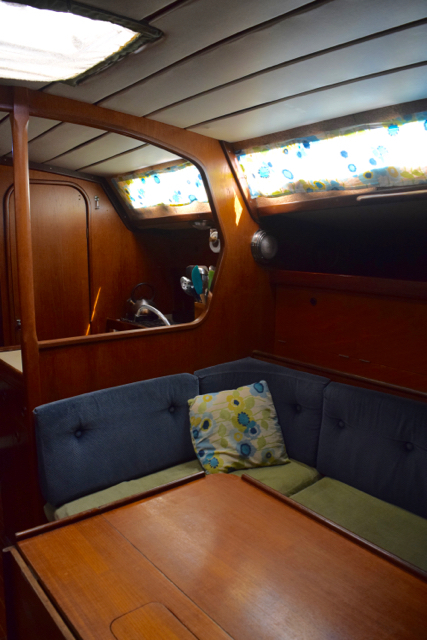 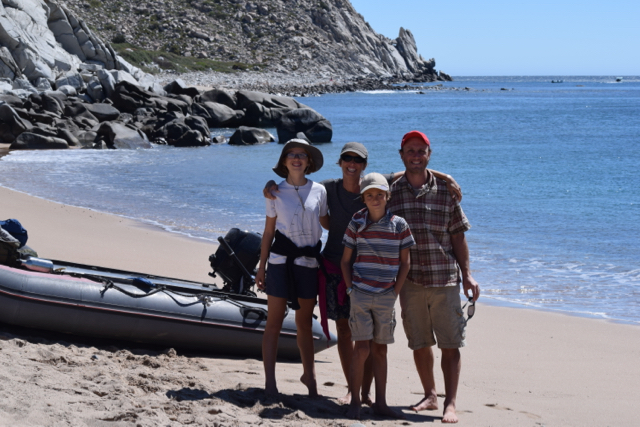 We have loved traveling with this boat, and hope you will love it too!